If you’re in need of rodent removal for your home in Huntington Beach, California, you’re likely anxious to have the problem handled as quickly as possible. 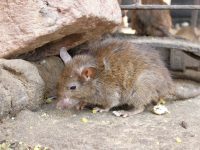 While it is important to eliminate rodent infestations quickly to prevent them from spreading, it is equally essential that you take the time to find a reliable company to treat your home. Fortunately, this is as simple as turning to Kilter Termite and Pest Control – the rodent removal experts that local homeowners have trusted since 1995. Once our rodent removal process is complete, we’ll leave you with a two-year warranty. If you require it, we can even help clean up the mess rodents have left behind by, for example, replacing nested-in insulation with specialized pest-resistant insulation. Contact Kilter Termite and Pest Control today to learn more about the rodent removal services we provide to Huntington Beach, CA, homeowners.